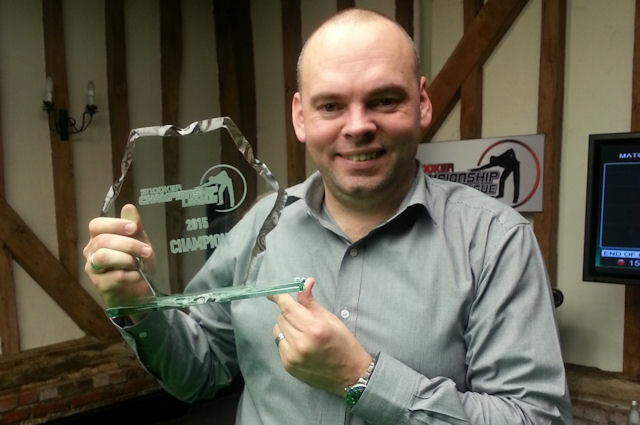 Stuart Bingham won the eighth annual Championship League Snooker event by beating Mark Davis 3-2 at Crondon Park in Essex in the internet-streamed event. In total 27 players competed in this year’s event but it was the most local, Bingham, who scooped the honours and with it an accumulated cash total of £28,500. In addition, the win guarantees Bingham a spot in the starting line-up of the exclusive Champion of Champions tournament which takes place in Coventry in November. The Basildon potter said: “I am over the moon. It is a great field of players here and a long tournament if you stay in a few groups. It isn’t just about winning this; it is getting the Champion of Champions spot too. “I lost a couple of matches at the start of the group and ended up having to beat Barry Hawkins 3-0 to get into the play-offs, I managed that and so maybe the writing was on the wall. Davis had led the best of five final 2-1 to look favourite for the victory. A break of 126 by Bingham in the fourth frame, the second best of the final group, levelled things before a run of 79 sealed the win. Hastings-based Davis hauled off a total of £24,650 for his efforts. Earlier, the experienced duo saw off young pretenders Matthew Selt and Ben Woollaston in their semi final matches.